The latest Hyundai SUV comes with new tech, including hybrid and plug-in hybrid engines. 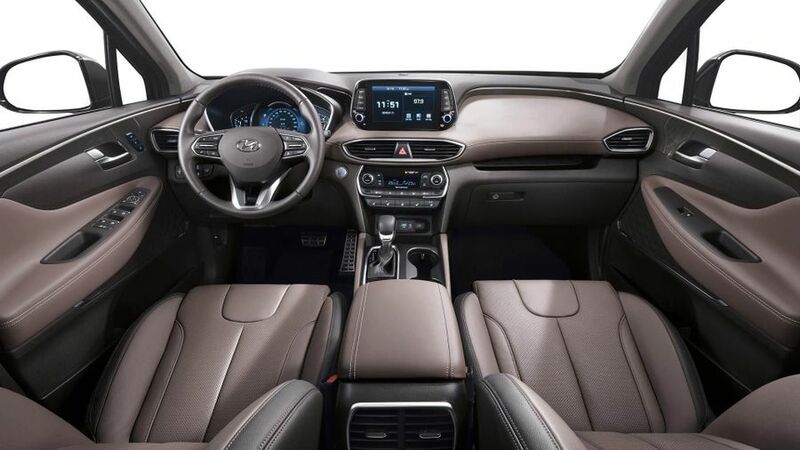 The fourth generation of the Hyundai Santa Fe will be the first to come with a hybrid and plug-in hybrid version, the company confirmed at the car’s launch at the 2018 Geneva Motor Show. Although Hyundai has not confirmed exactly what engine will be going into the all-new model, it is likely to be very similar to the 1.6-litre petrol electric hybrid that features in the Ioniq hatchback in both standard and plug-in formats. 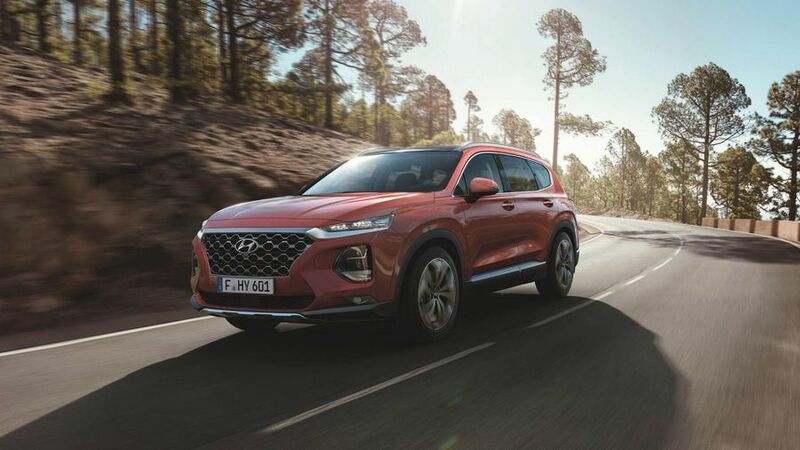 The new Santa Fe gets a thorough redesign from the outgoing model, and has been brought in line with other, more recent models in Hyundai’s range, such as the latest i30. Elements include the company’s ‘cascading’ grille design, a new light arrangement, and a notable line that runs across the base of the bonnet. Inside, it offers more visibility – the rear windows are 41% larger than the outgoing version, while passengers in the second and third rows all get more space. There is 38mm more legroom in the second row, while the third row gets a boost of headroom by 22mm. The front seats get a wide variety of adjustment, too, with ten different positions thanks to the adjustable seat cushions. The new tech on offer includes safety kit such as a rear-occupant alert to warn the driver when the passengers are out of their seats. It also gets a rear cross-traffic collision alert system that helps monitor traffic while you are pulling backwards out of a driveway or similar. If there is a car coming, it will sound an alarm and even apply the brakes. There is also a new four-wheel drive control system that helps boost grip on slippery surfaces. Other new kit includes a head up display – a first on a Hyundai SUV – and an optional 8.0-inch colour touch-screen. Other than the hybrid, the Santa Fe will also come with two 2.4-litre petrol and two diesel engines, a 2.0-litre and a 2.2-litre. The power will be sent to the wheels via a new eight-speed automatic gearbox. 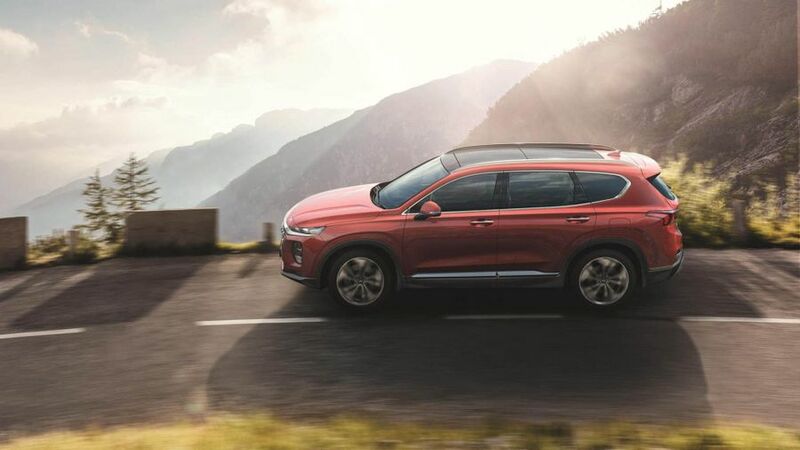 Expect the Hyundai Santa Fe to go on sale towards the end of 2018, with more information on what it will cost, and on the precise UK specs and performance data, closer to its launch.